Kevin has begun experimenting with making water features completely impassable except at fords and bridges and since water barriers are already a big part of players strategies in the campaign I'd like to test this new feature. 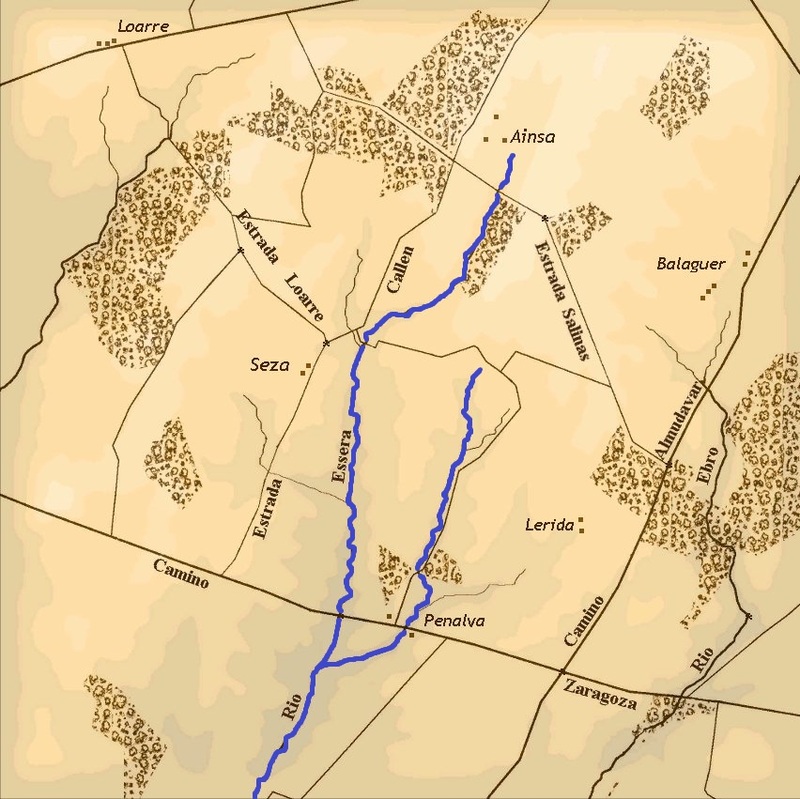 We'll be using the East Cavalry Field (impassable version) as its nice and small and open and we'll march the armies into position where the weaker one must defend the river and the stronger one attack and cross it. I'll e-mail the necessary map as a mod to players when we gather for the game. The mod must be loaded AFTER JustCouriers. I hope somene who can host and quickly cook up an unbalanced scenario can come along. Mr. Digby wrote: Kevin has begun experimenting with making water features completely impassable except at fords and bridges and since water barriers are already a big part of players strategies in the campaign I'd like to test this new feature. Can host, can't build scenarios - but should be able to use a file someone else generates, potentially. I'm interested in how the impassable water barriers work - they might come in handy sometime. Unless something out of the ordinary occurs, I'll be there. I'd like to test that myself. Only one question, though: will the game be on the 31st or on Thursday?? Looks like Thursday - tomorrow - is the 30th and the 31st is Friday. Sorry, it is Thursday 30th. I thought it was, needed to be sure, sir. Thanks and I'll meet all the players for today on the TS server, later today. Stefan's scenario generator can create it easily. Certainly, but since I don't have a write-capable copy of Excel my options are loading the macros properly (with excel viewer) or writing into the spreadsheet (with open office). Khryses wrote: Certainly, but since I don't have a write-capable copy of Excel my options are loading the macros properly (with excel viewer) or writing into the spreadsheet (with open office). Bummer. So the macros don't work in OpenOffice? Could there be some compatibility switch in OpenOffice that would allow it? Digby should be able to cobble a scenario together and send it to you. BTW it really will be a testing session and not so much a game. I think having the camera height set a little higher will work as we'll need to be able to see if the impassable water area is causing difficulties for the AI. In a quick and dirty test last night it did so I think this will only work in fully player vs player games. Even then we'll need to be careful where we order our AI subordinates to go. We will make the boundary of the battle just SOUTH of the Estrada Salinas so that the northernmost bridge is out of bounds, giving us 2 crossings at Penalva and Seza. I've done a scenario with 2 brigades of French with 2 batteries and a cavalry brigade defending facing west, and 3 brigades of Anglo-Allies, 3 batteries and a cavalry brigade attacking from the west towards the east. I'll play the French. There will be an objective to get to on the main road down in the lower right. I'll send you the scenario and 'impassable' mod soon. My first scenario with Stefan's (very cool I must admit) generator! Planning to be there. See you at 7.30 BST or a bit before. I thought it wasn't for another hour and a half; going to have to give this one a miss gentlemen. 3 of us played the test scenario, and now Diggers and me both have about 90 minutes if anyone (Justin?) would like to play an actual game. We're thinking Napoleonic on a small map. Well that was somewhat frustrating. The impassable streams seem very porous in many places at different times. We had a couple of cavalry squadrons get across okay and an entire battery with the guns moving in line at one point. The AI retreats its units across and it seems to posess a 'state of being' whereby when they rally and are marching back they can get across as well but if you give them an actual move order to, they can't. Officers also can't cross which makes going to rally a retreating unit that has crossed very awkward. We also hit another problem before playing. I tried hosting and was able to host Ike but not Digby. Digby then tried but was unable to host any of us. Thankfully, Ike was able to host everyone. Unlike Diggers & myself, Ike has his port open, so that still seems to be a requirement for universal hosting, even though we were told it was no longer necessary when the switch to Matrix took place. Has anyone else experienced this problem recently?